MERIDEN - Edward Charles Camp, Jr., 65, of Meriden went peacefully, following a brief illness, to be with his Lord and Savior, Jesus Christ on Saturday, Nov. 17, 2012 at Yale-New Haven Hospital. Edward was fondly known as "Eddie" to most of his friends and relatives, as he enjoyed life to the fullest, always attempting to be a comedian to keep everyone in good spirits. Eddie was born in Meriden on Feb. 17, 1947 to the proud parents of Edward C. Camp, Sr. and Loretta Winona Johnson Camp, who both predeceased him. He is survived by nine siblings, Margaret Harper, Lloyd Camp, Juliette Camp, Frederick Camp, Loretta Watson, Cheryl Byrd, Eugene Camp, and Lynn and Linda Camp; a brother-in-law, Roy Byrd, Jr.; a sister-in-law, Evangeline Camp; and a host of nieces, nephews, cousins and friends. He was predeceased by two brothers-in-law, Frank Harper and Ormond Northup, Sr. He and his siblings have four remaining aunts, Lavinia Jackson of Hamden, Frances Johnson and Harriet Johnson, of Meriden, and Tammie Johnson, of Honolulu, Hawaii, and an uncle, George Johnson, of Honolulu, Hawaii. 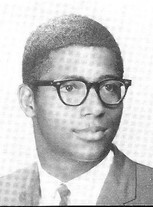 Eddie was a 1965 graduate of Platt High School of Meriden, and a 1967 graduate of Laurel College of Meriden where he received a degree in business administration. He worked for a short period of time at the local Meriden Hospital, and then enlisted in the U.S. Army as a conscientious objector, serving as a cook for the troops during the Vietnam War. God was with him during his tour of duty, and brought him home safely. Following his honorable discharge from the Army, he began his civilian career at the former Pratt & Whitney Aircraft of North Haven where he worked for 35 years until his retirement in 2002. Eddie was a hard worker who loved people, especially those within his family and wide circle of friends that became acquainted with him over the years, and thought so highly of him. He was truly a blessing to his family, to whom he is greatly missed. Eddie and his siblings were brought up in church, where they worshipped at the Salvation Army Church. At age fourteen he became a junior deacon at the Bible Way Worldwide Ministries. Eddie enjoyed reading, shopping, singing, cooking, and a wide variety of music, of both religious and secular artists. He occasionally would boast of his signed autograph from the legendary gospel singer Sister Rosetta Tharpe. He also liked plants and animals. In his early years, he was a mentor to young kids that were not fortunate enough to have fathers. Eddie was known to all as a great dancer, and well versed in the Holy Bible, American and African history, the lifestyles and traditions of most cultures around the world. His mother, Loretta Camp was the family's first centurion, having been blessed to live until the age of 100 years. Eddie will also be missed by his new acquaintances at the Aurora Convalescent Home in Cromwell.